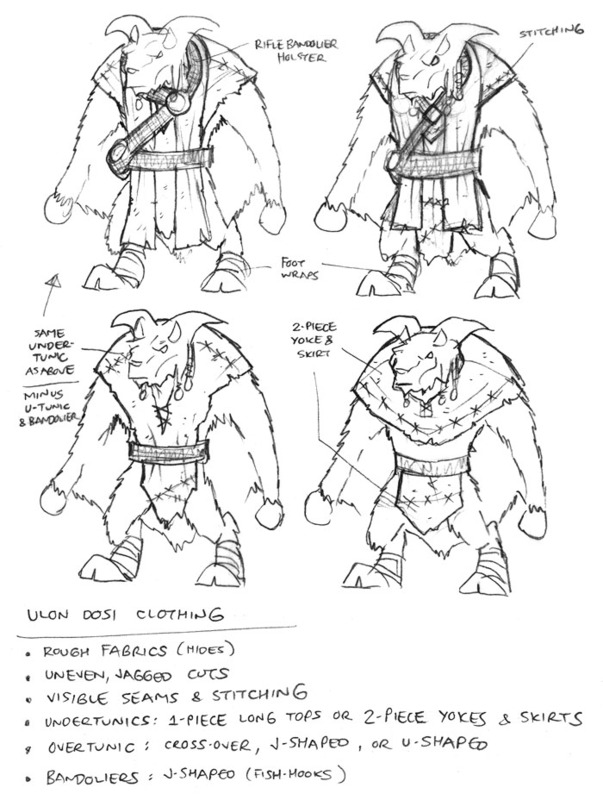 A few more Ulon Dosi clothing concepts, including the rifle bandoliers that the village warriors would wear. With this, I had enough samples done that I could just mix and match different elements once I got to the actual drawing stage. The only Ulon Dosi characters that got specific outfit designs were Keyla, Clem, and Goshen. I’ll go into Keyla’s design in the next post, and the Goshen and Clem sketches will be popping up in the Bonus Features for The Big Snow Job #5.